FLYGVA and BenSherman like this. What is your IHG Rewards Club status? Booked King Superior Room, Received King Club InterContinental Room on 23rd Floor. This room seems to be renovated recently. Approx. 35SQM. Philips LCD TV, Bluetooth Audio, French Press Coffee maker. Deep sunken bathtub, Toiletries are Agraria. Located on the penthouse floor (24F), Decor is a little bit dated, but Food and Beverage selection is fairly good. Every staff are very friendly and Professional. What was your welcome gift? Chinese Tea, Chopsticks Set, Sweets, Two bottles of Aqua Panna, 2x drink vouchers, and 120RMB dining credit voucher. Did you receive fruit in the room? Value for $ or Rewards Club Points? Booked King Superior, received King Willard. This particular King Willard was a disappointment. Although the rooms have recently been renovated and the renovations look great, this is probably the smallest King Willard I have ever had. It was on the 2nd floor (room 200) and had only one window so no view of anything (I could sort of see the outdoor tables at Cafe Parc). I think the other King Willards (rooms X00) are more like corner rooms with 2 windows, if I recall correctly. There was a couch but no coffee table. Bottle of red wine and a Willard tin with chocolate chip cookies in it. I have only received the tin once before and it was empty that time. 2 bottles of water were replaced daily and there was a large fruit selection. Still a good minibar. 375 ml bottles of red and white wine and champagne. Small selection of liquor and some beers. Sparkling water still has not returned to the minibar. Also, I was at the hotel for 3 nights and the minibar was not refilled once. The bottle of white wine had a cork in it, but there wasn't a cork screw anywhere in the room. ​​​​-- Water is replaced everyday and the fruit selection was good. -- King Willard upgrade was disappointing based on the upgrades I had received in the past. I know that this upgrade category for RA is supposedly standard though, but this room in particular wasn't that great. I would because I really used to love this hotel. But with the IC Washington DC - The Wharf as an option now, it makes the decision tougher if both properties are available at a Govt Rate. 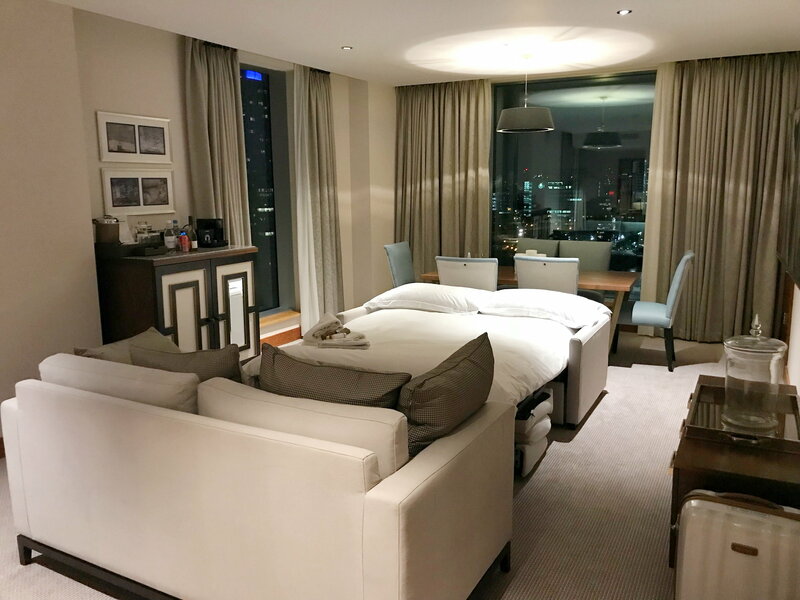 Premier Room 2 nights paid + 4 reward night received Resort classic suite for all 6 nights for a small upsell as its more than a 2 cat upgrade for the reward nights. The lounge is not very large but never seems to be full so still comfortable there is also outside seating if preferred. There is a small buffet area which is set for breakfast and evening cocktails with a reasonable selection of cheese and other small bites there is a small menu of cooked to order items for breakfast although we did find them flexible with off menu orders which was nice. Afternoon tea there is a choice of 3 different sets which have just been revamped and were very good. The staff are also top draw Amy, may and the rest of the team really did a great job looking after us. Thai sweet's some coconut oil and some massage oil. Only 2 beers and a few soft drinks but a decent selection of spirits although they are only free once however the wine including the sparkling are replenished daily without charge. Club lounge is a real pleasure. I find the hotel to be great value was given full RA benefits even on points nights. Room was large and comfortable, outside balcony / seating area was large with plenty of seating and a nice view which was one of the main reasons I choose this room type however I found the bathroom setup a little odd in the end and did not really like the way it is separated from the main room by screens. Also there was a lack of a practical area to store luggage despite the size of the room which was a slight annoyance. They have a new location for the lounge which used to be the serene lobby lounge area which is a prime location for taking in the view there is also a room just off the lobby where they setup a small cold buffet during evening cocktails. Breakfast is also now offered in the lounge although this only consists of a couple of set menu options but is much more relaxed than the main restaurant we tended to get something to eat in the buffet restaurant and then head up to the lounge for coffee and juice after to relax and take in the view. Staff were very attentive and very engaging and we were impressed with the level of service from the team. As a whole we were quite impressed with the new lounge setup even though they do allow kids during cocktails (Please don't hate me lol) especially as the Air is a bit of Zoo sometimes at sunset with guests from outside the hotel. Nothing special just the basics really, the wine fridge is a good idea in theory except for the high prices you are subject to in Thailand and the fact that nothing was cold when we arrived in either fridge and the wine fridge never really cooled down even though we adjusted the settings to try and chill a bottle of Champagne we had with us. Only real negative was that all the cocktails we tried bar one were very flat tasting no real zing or alcohol hit including paid for at the beach bar / restaurants and an Irish coffee in Flames that was lacking the Irish. Food and beverage are very expensive even though the food we had was very good and tasty. Very expensive compared to the other IC's in Thailand and even though the view is amazing I don't think some of the prices and room rates during the year are worth while. I booked during a sale but in general the rooms seem to for 4-5k thb more per night than I paid which would not be worth it in my opinion. Yes we would if the price was right because as a whole we did enjoy our stay but they do play on the view. FLYGVA and Atacama40 like this. stripped down as usual, couple beers, colas, water, juices and a split of Prosseco. Great upgrade, by the way, nice work! You do not need to accept the stripped-out mini-bar. I emailed in advance, expressing my concern about this. I was assured that RA would receive real mini-bar. I had 2 stays booked, several days apart. The first one, I received mini-bar with vodkas, gins, VSOP's, and some local vodkas, plus splits of red/white wine, Prosecco and Champagne, plus beers, mixers, stc. The first stay, everything was correct. The second stay (after cancelling and re-booking the Best Flex) was the stripped mini-bar. It seems that the Guest Relations manager puts a note on your account to ensure proper mini-bar, assuming you email in advance. I assume this note was perhaps removed when I re-booked, hence the issue on the second stay. It can only be, that her superiors attempt to withhold the standard mini-bar from RA's, and only fulfill, once challenged. Were you generally happy with the hotel? ca. 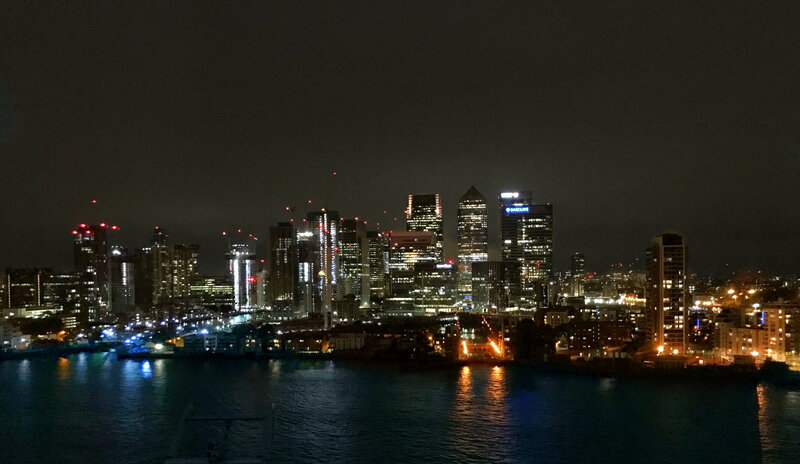 70 sqm, high floor with beautiful view to canary wharf. Furniture in very good condition. Bed was comfortable. Perfect working air conditioning system, 16°C worked without problem. It seemed that I got one of the bigger One Bed Room Suites. This one has definitely more than 60 sqm. How is the Club InterContinental? On the second floor with good view to the skyline of Canary Wharf. Happy hour and light (buffet) dinner from 5 to 7pm, which was fine as I am not a big fan of this new mini portion canapés like in IC Berlin. Decent. 2x coke, 2x diet coke, 2x orange juice, Red Bull, Schweppes tonic water, 2x white whine (can be replaced with red wine or champagne), 2x water, sparkling water, 2x 664, scotch whiskey, Jack Daniel’s, Absolut Vodka, Beefeater, 2 chocolate, etc. -huge upgrade, even on rewards. -full benefits on reward night. Rate of IC PL was ca 3,5x higher and would not grant club access on rewards. Very good value. Booked Deluxe Family Studio, received King Sky View Studio on the 17th floor. Also received apologies no upgrades are available and was offered 5.000 points or breakfast for two for one day. Skyview is the max upgrade for RA's. This room was good size and had windows wrapped around it for nice views of 44th street and 8th Av. One king bed and sleeper sofa with divider screen. Found the carpet had a lot of stains. Bathroom with walk-in shower, no bathtub. OK, wines (sparkling, white and red), beers, some liquor miniatures and soda/juices/water. ​​​Value for $ or Priority Club Points? Large, two balconies, classy bit dated but well maintained. id you receive a welcome gift? Value for $ or IHG Rewards Club Points? Huge! Separate living room with sleeper sofa and dining table, two bathrooms, small kitchen. Room decor is brown and beige but have a nice couch and great view of the beach/sea. Good size. Bathroom with walk in shower and separate bath tub. Located on 24th floor, friendly staff. Liked the breakfast spread but found the place very crowded and noisy later in the day. Nice views as well. Card from the guest relations managet, bottle of wine, fruit, cookies and a very nice bag of "419" branded beauty products. Very nice. ca. 26-29sqm sqm, high floor, not a corner room (but it should be following the description on website), no separate sofa area, exactly like a standard room. Air conditioning was a joke. On the twentieth floor. Buffet breakfast was of bad quality and I didn't like the Egg Benedict even the second time. Happy Hour from 6 to 8 pm. Standard liqueur, nothing to mention about. Champagne: Nicolas Feuillatte. One hot (non-vegetarian) dish (meat balls). In terms of quantity and quality it was for me like a better club lounge Crowne Plaza Hamburg. Many soft drinks, just 2x liqueurs. below average. - My room was connected with a corner room with balcony (in total the size of a Panorama Suite), connecting door was opened and a prosecco treatment was waiting on the sofa table. After a few hours of being away I noticed that the corner room was used by another person that had access many hours to my room and to my documents. Explanation: The corner room was not meant to be mine. - Restaurant breakfast will not be granted. - Room upgrade was a bad joke. - Overall condition of the furnishings. - Club lounge miles away in terms of service and quality comparing to Berlin and Düsseldorf. Points may have good value if rates are high on weekdays. For the given I am sure there are better 4-5 star options for minimal price difference. Only with RA and if rate shows a significant discrepancy to other properties. To get a better room I recommend to book Superior (for Club Room) or Deluxe (for Club Suite).